David has an eclectic professional background. Four years at Monash University and one year at La Trobe University earned him a Bachelor of Science with Honours in Earth Sciences and a position with Shell as a minerals exploration geologist in Orange (NSW) and then Adelaide (SA). After a resources downturn, David stripped asbestos then joined the Public Service in Canberra. After several years in policy and program positions, David became a public sector union organiser implementing industrial reform under the Second Tier Wage Agreement. Following a short stint with Coopers & Lybrand, David joined the then Bureau of Mineral Resources. An opportunity to work with the Canadian, French, Swedish and German National Geological Surveys was a highlight, but a corporate collision with the Minister’s Office left him looking for new opportunities. David joined the local ACT electricity water and sewerage service provider – ACTEW now ActewAGL – as a business analyst. He then established a consulting practice that included managing ACTEW’s Y2K project; managing ActewAGL’s website development project; working in the Defence IT sector; helping to develop threat abatement plans for frogs flying foxes and eucalypts; and helping to establish a Shared Services Department for the ACT Government. Increasingly, David has concentrated on social justice, including working and volunteering in the community sector, and managing community development projects in Polynesia and in Indigenous Communities across the country. 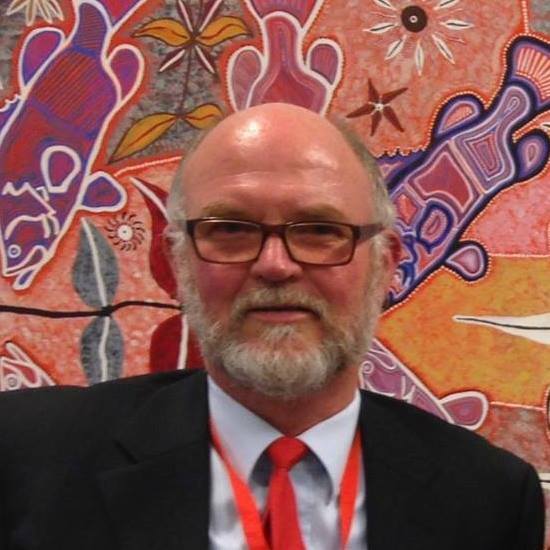 David has also sat on the Boards of the ACT Deafness Resource Centre, the Canberra Hospital Auxiliary, Australian Business Volunteers, RESULTS International (Australia), and the AFL Central West. In 2012, current OML Treasurer Tony Curtis and David established the ACT-ABC-Hub to help the not-for-profit sector. While organisations concentrate on their mission, the Hub concentrates on the things that can bring organisations undone – things like governance, regulatory compliance, financial management, payroll, etc. OML is the latest and all consuming client of this practice.